Customer feedback is one of the easiest ways for a business to learn more about what their customers want, don’t want, like, and don’t like. It’s easy to read articles online and listen to podcasts on the way to work that make educated guesses on what people want, but those guesses are often generalized and, to be frank, wrong. And why guess when you can simply speak to your customers directly? The last thing you want to do if you’re a business trying to improve the customer experience is to act like you know what the customer wants without ever asking. That’s not the right kind of impression you want to leave on your customers who have plenty of time to go online and tell everyone about how a business doesn’t actually care about the people they sell to. We’re not saying following business trends, reading articles, and acquiring information from outside sources is a bad idea — you should definitely use them as a starting point for your business strategy; however, you can’t only rely on them. Obtaining customer feedback requires careful planning. Not all feedback is useful, so we’re going to make sure what you’re getting is worth your time. Here, we’re going to break down the importance of customer feedback and five ways to obtain it. The great — or scary — thing about offering customers a forum is that they can come together as a community to determine whether or not your products or services are good, to help each other with common issues instead of reaching out to support, and to help the business interact directly with customers regarding issues, updates, and anything else of interest to the customers. 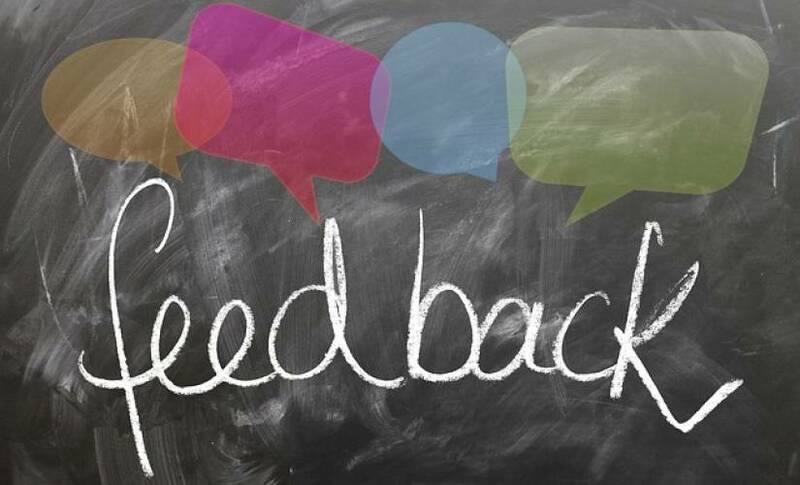 Forums offer businesses invaluable feedback simply by having a support agent monitor and take note of any issues that arise, any good comments that tell the company what’s working, and any comments that offer constructive criticism on how to improve the product or service being offered. They can be monitored on your own website or you can set up an account on an already-existing forum in your business’ field. The more you interact with your customers, and the more you let them interact with each other, the more feedback your business will be able to acquire. Remember to monitor the forums regularly, whether they’re your own or you’re looking through websites like Reddit, so you constantly know what needs to be worked on and how you can remain authentic. Social media is essentially a massive forum, but offers much more to businesses. It’s a more personalized channel because people don’t typically think about Facebook, Twitter, Instagram, Reddit, Tumblr, or Pinterest as a place to talk to businesses. However, businesses can look at their followers, search specific hashtags, and read through comments to determine what customers think about their products. Social media should also be a business’ primary source for determining what the latest trends are. There’s an inconceivable amount of user-generated content, opinions, reviews, and sponsored content for businesses to comb through for inspiration. Reddit, as we’ve already mentioned, is a great source for content along with YouTube, Snapchat, and any other video app or messaging platform. If your business doesn’t have any social media pages, we recommend you do so because you’re making it harder for your customers to connect with you for no reason. Have a dedicated agent monitor your pages to ensure your customers know you’re actively using them. Reviews are another great way for businesses to obtain customer feedback. They can be found directly on a business’ website and social media. It should always be encouraged to leave reviews so businesses can determine if their products and services are good, need improvement, or could be better. Reviews are also a great opportunity for businesses to be transparent with their customers. Amazon makes a point of highlighting the top positive reviews alongside the top critical reviews so customers can get the complete picture before making a purchase. There’s nothing stopping a business from doing this as well. Creating this transparency often inspires other people to leave reviews. When highlighting customer reviews, never delete the older or more critical reviews out of fear that they might bring too much negative attention to your company. If that’s the case, it’s not the customer’s fault for pointing it out. Remaining transparent is always more important than preserving a fake image of the company. That does nothing to keep customers from leaving for a more reputable business. Email and contact forms are similar to surveys, but they only ask people to provide businesses with basic information like name, email, phone number, address, reason for contacting, and many more potential fields. These aren’t as complex as surveys, but they’re not useless by any means. Email and contact forms, when combined with surveys, social media, and reviews, can help provide businesses with useful context. Names can tell a business a lot about who their customers are without asking for personal info. Asking for an email helps to establish a channel if an issue were to arise. Addresses also help determine how products are being used. Here’s a specific example: someone wants to buy a bike but they don’t know what kind to buy. Looking at their address can determine if they need a road bike or a mountain bike. Names and addresses in conjunction with customer feedback can help businesses create customer profiles to help them better understand what customers want. The more feedback they get from their customers, the stronger the profile becomes. Starting with simple fields in an email form can lead to so much more when taken seriously. Surveys are another strategy for businesses to implement after a customer orders a product or service. They can be sent via email or, if you have a brick-and-mortar store, be filled out electronically in person on a phone or tablet. When they’re kept short and sweet, customers are more open to actually filling them out, and then proceed to offer very useful feedback. The trick, however, is to make sure they’re short, the question format is varied, and the questions you’re asking are actually relevant to what you’re looking for. You can also offer an incentive for filling out the survey so you encourage more people to fill out your survey. When surveys are too long, customers react negatively to them. Most of the time, customers don’t really want to fill out a survey after buying a product, which is why incentivizing surveys is necessary. If the survey is too long, they’ll either stop halfway through or answer the questions carelessly, helping no one. Customer feedback is absolutely essential for businesses looking to offer more personalized customer experiences. Without feedback, there’s no way of truly knowing what’s working for your customers and what needs improvement. Businesses should never assume what the customer wants based solely on trends and forecasts. Trends and forecasts are a great starting point, which is where social media comes in, but your business isn’t off the hook when it comes to asking for, and responding to, feedback. Businesses need to keep track of where they can potentially get feedback from. They should be active on social media, responding to questions from customers; they should create surveys and give customers an incentive to fill them out. The more transparent businesses are with their customers, the more likely their customers will respond positively to their efforts. Personalized customer experiences are a significant business trend for good reason. The way we do business has changed significantly, going from businesses telling us why we need their products to us telling them what we need and how they can improve what they’re selling. Acquiring customer feedback is a necessary step to personalizing every customer experience regardless of the size of your business.